When teamLab first emerged on the art scene in 2001, their innovative creations were hard to label. Neither video nor media art, the 3D works used multiple perspectives to bring the Edo-painting period to life through animation. The works were often intended to be shown on multiple screens, and the different perspectives helped create what the Japanese art collective calls an “ultra-subjective space” with no fixed viewpoint or barrier between the viewer and the projection surface so people can move around freely. In search of a description, Toshiyuki Inoko, co-founder of teamLab, remembers looking up the definition of “digital art” at the time in the Japanese Wikipedia and all he could find was a vague description associating digital art with the photo editing software, Photoshop. Today, teamLab has come to symbolize the best that digital art has to offer as they harness the power of digital technology to create immersive art installation that highlight the beauty of the natural world while encouraging interaction with the artwork as well as with other viewers. 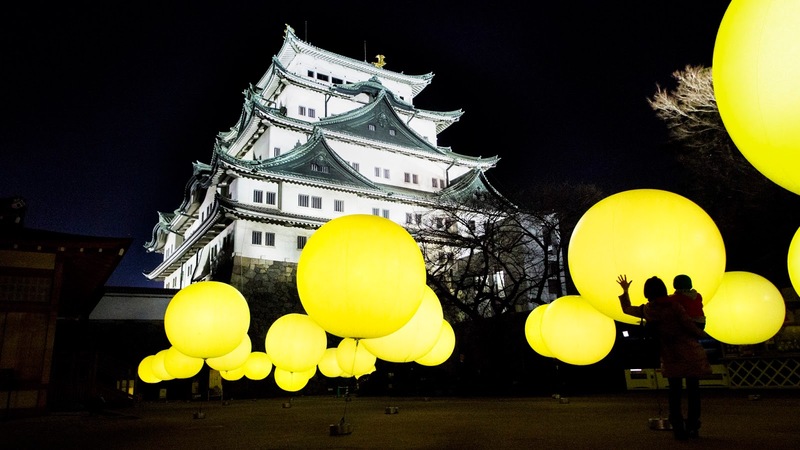 Inoko, who studied mathematical engineering and information physics, founded teamLab in 2001 with four university friends. The collective has grown from the small team of programmers and web designers who primarily worked on commercial projects to a 450-strong team from various fields (web and print graphic designers, programmers, engineers, CG animators, mathematicians, architects), split between the commercial arm (team-lab.com) and the artistic arm (teamlab.art), which inspire and feed from each other. 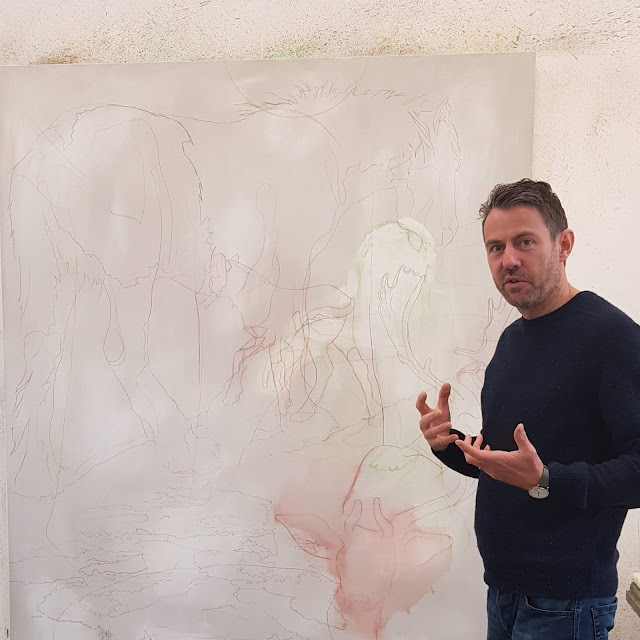 While Inoko focuses on running the artistic arm, his co-founders manage the commercial arm, which for a very long time sustained the artistic practice. The collective worked on artistic projects from the start, but Inoko says their creations were not considered “art” until they were given their big break by fellow Japanese artist Takashi Murakami who invited them to show in his Kaikai Kiki gallery in Taipei in 2011. The following year, a Singapore-based art gallerist Ikkan Sanada started representing them. “The history of digital art is a short one and many people are still confusing it with video art. 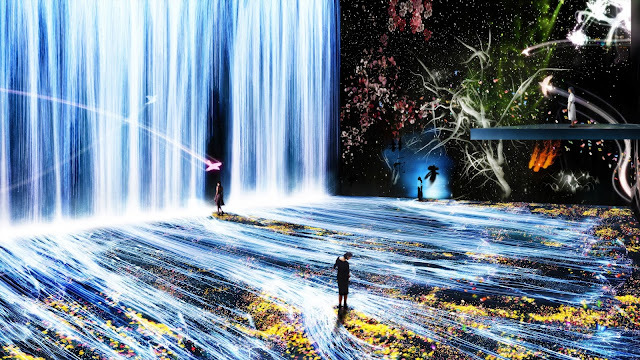 Slowly, art institutions and collectors are discovering and understanding the unique characteristics of teamLab’s digital art which eliminates the physical boundaries of artwork and the viewers,” Sanada says. The Singapore-connection was strengthened when the Singapore Biennale 2013 provided the first museum/institutional opportunity at a time when the collective was still relatively unknown, recalls Inoko. The work selected for the biennale was “Peace Can Be Realized Even Without Order,” an interactive animated diorama with an army of dancing holograms dressed in traditional Japanese costume that became animated as viewers navigated the installation. The ArtScience Museum at Singapore’s Marina Bay Sands complex was the first museum to offer the collective a large permanent exhibition space with the “Future World: Where Art Meets Science” exhibition. teamLab now also has a permanent installation at the National Museum of Singapore, and last December unveiled another large digital art exhibit at Marina Bay Sands, though this time within The Shoppes at MBS. Interaction is at the heart of many teamLab creations, as the collective seeks to fully immerse the viewers within their artworks, encouraging them to move around the work, which affects the work as well as encouraging other viewers to participate. As people walk around an installation, they may trigger flowers to bloom or cause them to wilt, transform a calligraphic character into the object it represents, or cause the direction of shoal of fish to change. As Inoko explains, teamLab’s artworks aim to blur boundaries between art and technology, people and the art as well as among people themselves. 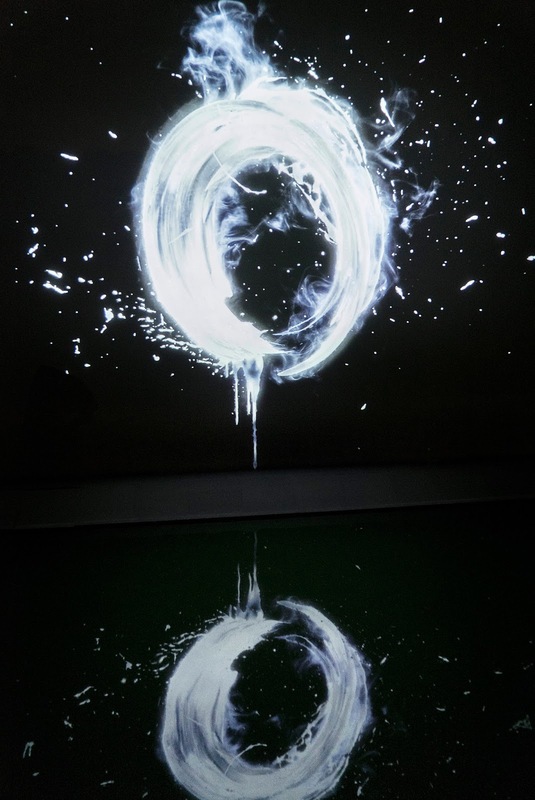 While the viewing of traditional art, be it painting or sculpture, is usually best enjoyed from a particular point of view — the fewer people in a museum, the better one can enjoy the work — teamLab’s artworks positively encourage and sometime demand the presence of a multitude of viewers. 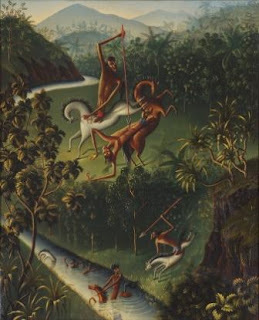 Having others in the same artistic space will create variation of the art, with each visitors adding to the complexity of the artwork, creating unique visual stimuli. In teamLab’s interactive light sculpture installation, “Crystal Universe,” visitors are invited to walk through a constellation of suspended LED lights that react to the visitors’ presence by changing colors. People can further interact with the piece through their smartphone, each phone user having an impact on the work. In “Strokes of Life,” one of the works recently installed at the former ice rink at The Shoppes at MBS, viewers create large brush strokes (what the collective calls Spatial Calligraphy) by walking around the space which in turn gives life to colorful blooming flowers, birds and butterflies. Instead of being pre-recorded and on a loop, the work is rendered in real time by a computer program and based on the interaction, ensuring the experience is never repeated exactly the same. 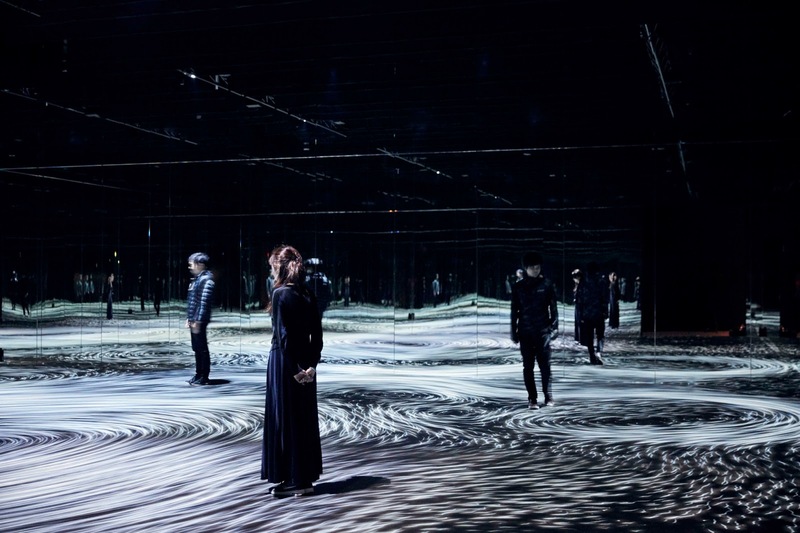 Honor Harger, Executive Director of ArtScience Museum, says the museum was “naturally drawn” to teamLab's work because of their fluid combination of artistic expression, technological ingenuity and scientific enquiry. "By physically positioning us inside the landscape, teamLab are inviting us to understand that nature is something that includes, enfolds, and embraces people. There is no separation between ourselves and nature." Harger points out that teamLab’s works, while beautiful in appearance also address important contemporary issue such as climate change: “The belief that we are somehow separate to, and apart from, nature, has become an urgent existential issue. We need projects that create meaningful connections between people and their environment. To address some of the challenges we face today, we need to understand that we are within, and not outside of, the natural world." 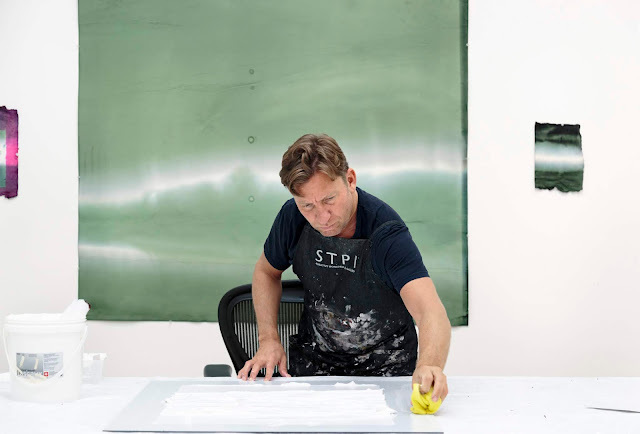 In 2014, the New York-based Pace Gallery, a leading international art gallery with outposts in Paris, London, Hong Kong, Beijing, Seoul, and Palo Alto, started representing the collective, helping it stage large-scale exhibitions that have helped quickly solidify its international reputation. The projects have also grown in scale. Last year, an immersive installation, “A Forest Where Gods Live,” was its most ambitious project to date, spread across a 500,000sqm ancient garden on Kyushu island with the collective using nature as the canvas for this work. 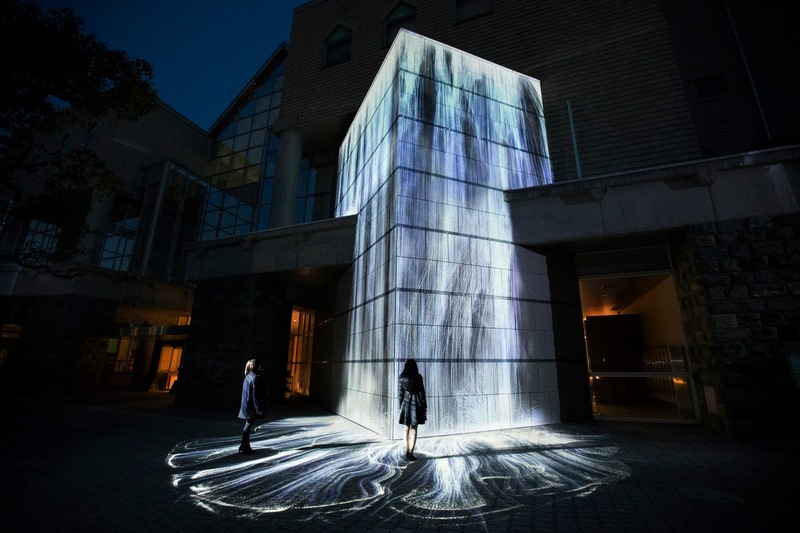 As visitors walked up winding garden paths, they triggered sensors for colored lights and sounds for the various components of this giant installation — a digital waterfall, a spatial calligraphy projection at the entrance of a cave, a projection of blooming and withering flowers on a large moss covered boulder. A version of this article was published in Prestige Singapore in March 2018.